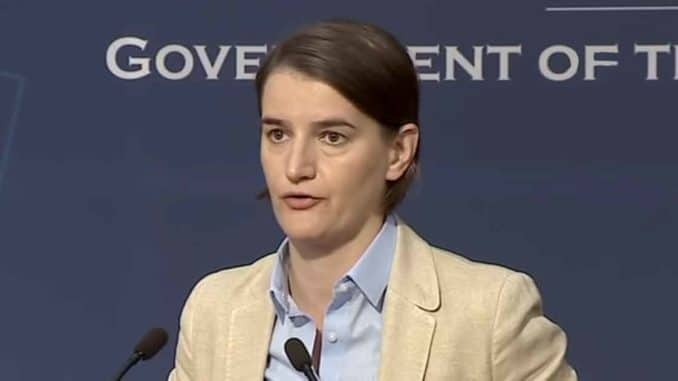 Belgrade, 6 June 2018 – Prime Minister Ana Brnabic said at the international conference “Loud Whistle: Whistleblowers and Journalists against Corruption” that corruption is a disease that makes society weak and poor and added that the government will continue to lead a hard fight against it. Brnabic said that whistleblowers are important and courageous and that the duty of the state is to protect and support them, recalling that Serbia has one of the best European laws in this field. The Prime Minister gave credit to anyone who draws attention to corruption, stating that only societies with responsible citizens have a chance for progress and success. Ombudsman Zoran Pasalic said that the right of every human being is to feel free and to express what he or she thinks and that in protecting this right it is important to act according to the applicable law. Pasalic emphasized that media freedom is an individual freedom of every journalist and that a proper and comprehensive platform must be established to protect journalists. Deputy Public Prosecutor Branko Stamenkovic said that the Public Prosecutor's Office and the Republic Public Prosecutor's Office pay special attention to the fight against corruption and that employees in these institutions undergo specialized training and cooperate with international partners in order to have a good basis for practical work. … we have a small favor to ask. More people are reading the Global Media Planet INFO than ever but advertising revenues across the media are falling fast. And unlike many news organizations, we haven’t put up a paywall – we want to keep our journalism as open as we can. So you can see why we need to ask for your help. The Global Media Planet INFO's independent, investigative journalism takes a lot of time, money and hard work to produce. But we do it because we believe our perspective matters – because it might well be your perspective, too. If everyone who reads our reporting, who likes it, helps fund it, our future would be much more secure. For as little as $1, you can support the Global Media Planet INFO – and it only takes a minute. Thank you. "Loud Whistle: Whistleblowers and Journalists against Corruption"